Are you tired of tossing and turning at night? 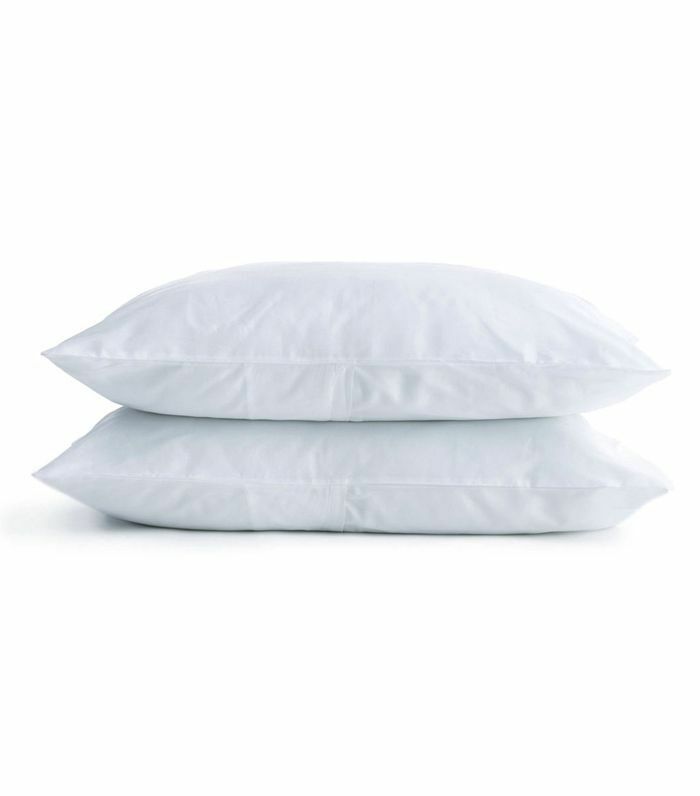 Is your comforter too thin, your sheets too hot, or your pillows too pokey? We all know the importance of a good night's , but sometimes our own gets in the way more than we think. 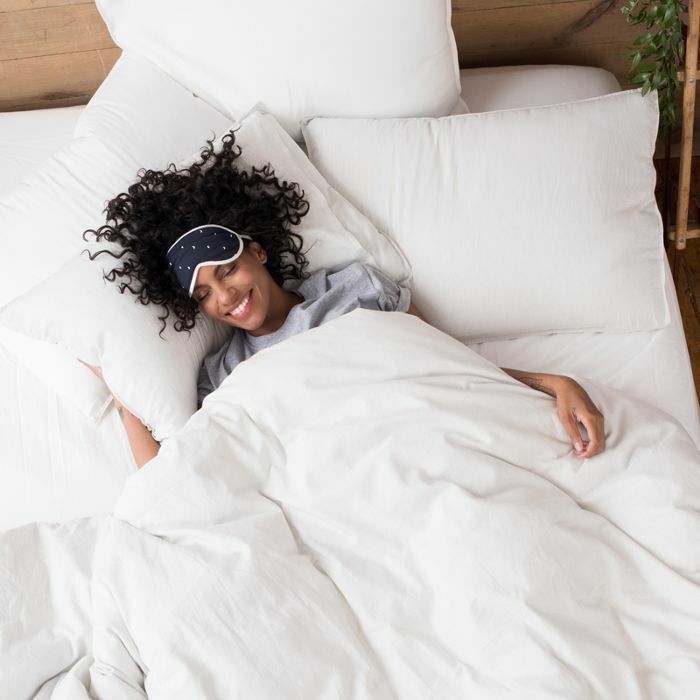 At MyDomaine, we've spent a lot of time studying the science behind better sleep and testing bedding products—so we feel comfortable saying we know a thing or two about making a comfortable bed. 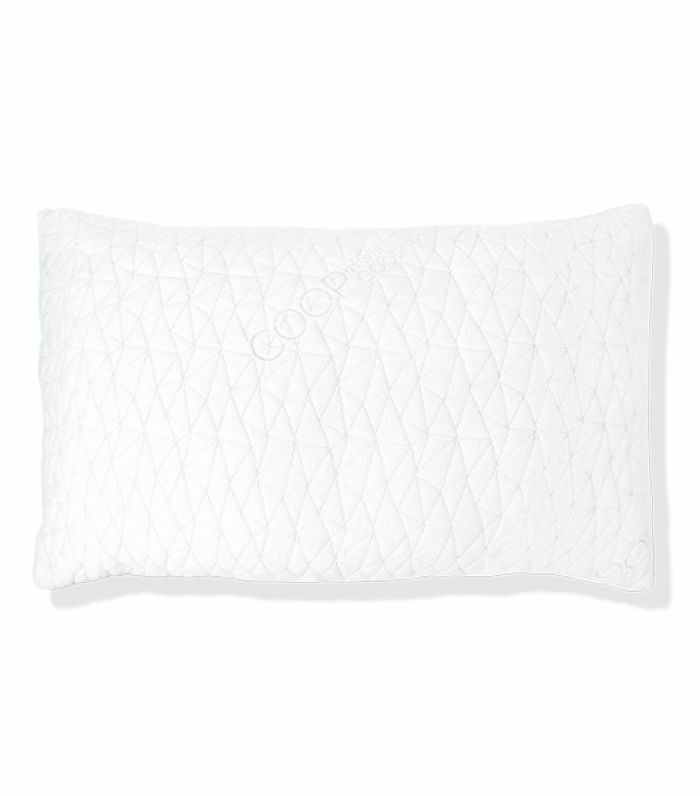 Today, we're sharing the wealth of knowledge we've developed through trial and error, including the ultimate cannot-live-without pieces that make our beds feel like marshmallow clouds and help us fall asleep in an instant. From that reduce puffiness to relaxing linen mist and fluffy comforters, these are the miracle products that make it hard to get out of bed in the morning. Ready to overhaul your own bed? Below, our editors share their best bedding essentials to turn your sleepless nights into blissful slumber. 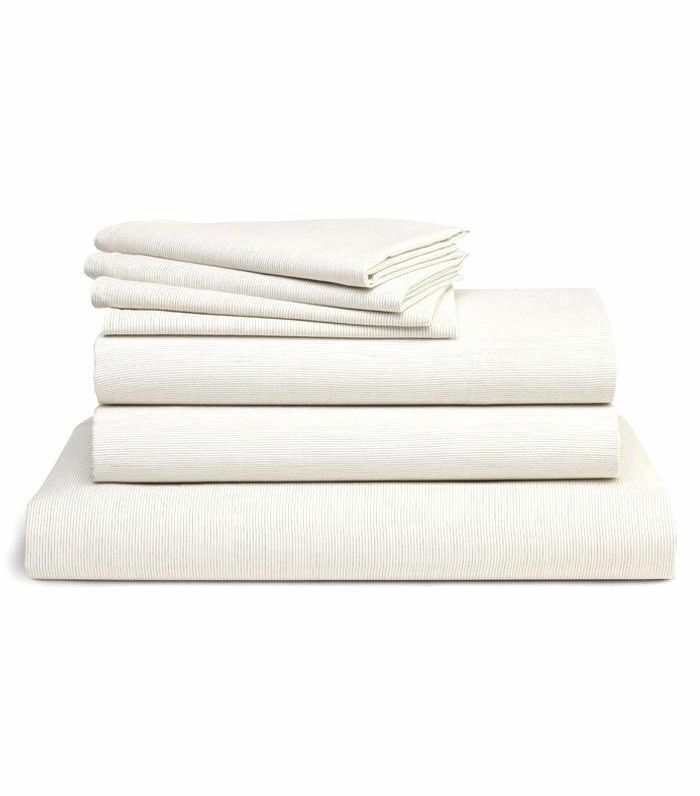 "I first felt Brooklinen's Twill sheets at a preview event, and instantly knew I had to have them. 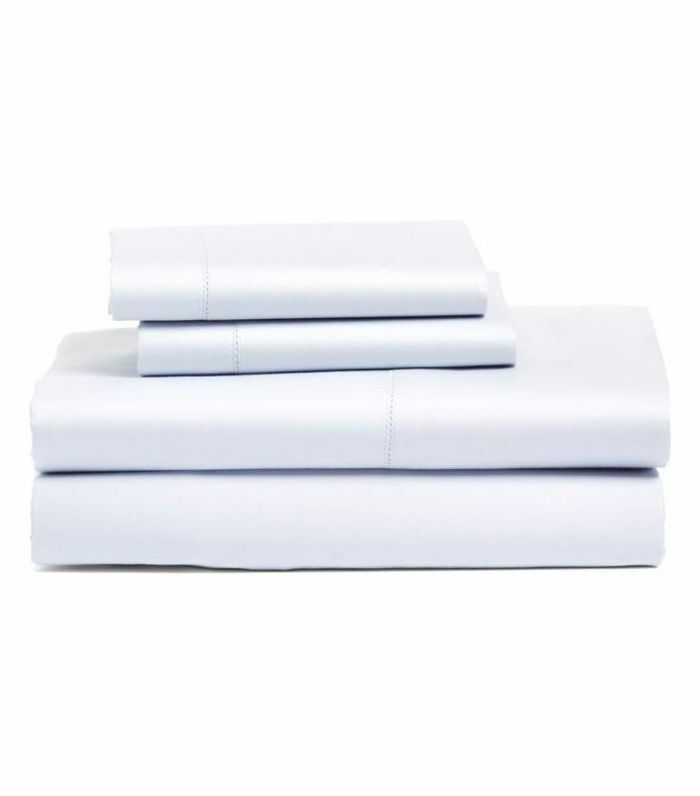 I've tried a lot of sheets in my day, and no bedding makes me happier. 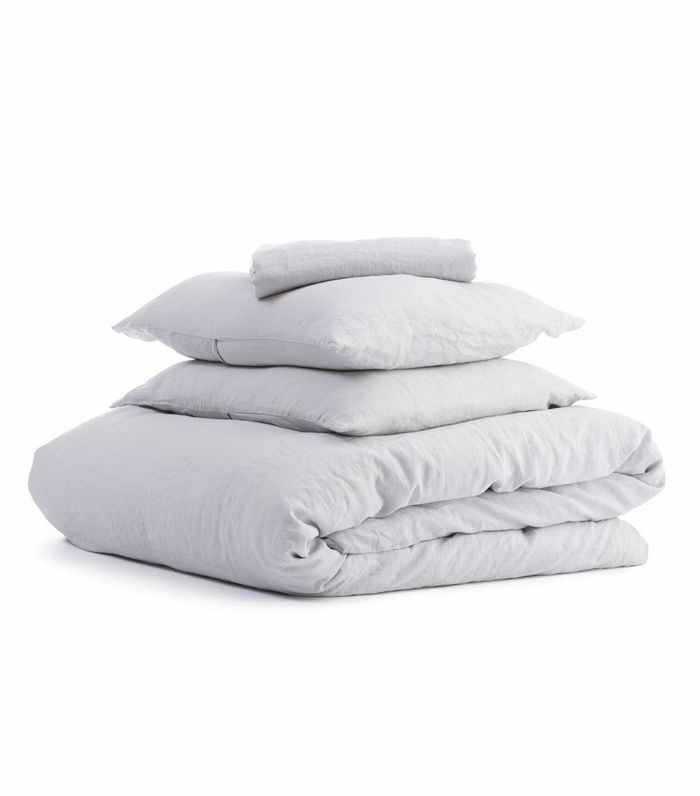 It's definitely a winter bedding as the sheets can get a little warm, but they are the coziest softest bedding you'll ever sleep in. It's like slipping into your favorite sweater, but better. Trust me on this one." "I had had my old comforter for a few too many years, and it was shedding tiny little down feathers everywhere. So, I decided to upgrade. I was intrigued by Buffy's fun branding—a new direct-to-consumer company that sells one perfectly crafted comforter style made from eucalyptus and coated in volcanic minerals. As it turns out, it answered all my bedtime prayers: It's soft and fluffy like a marshmallow, and most importantly, it doesn't shed!" 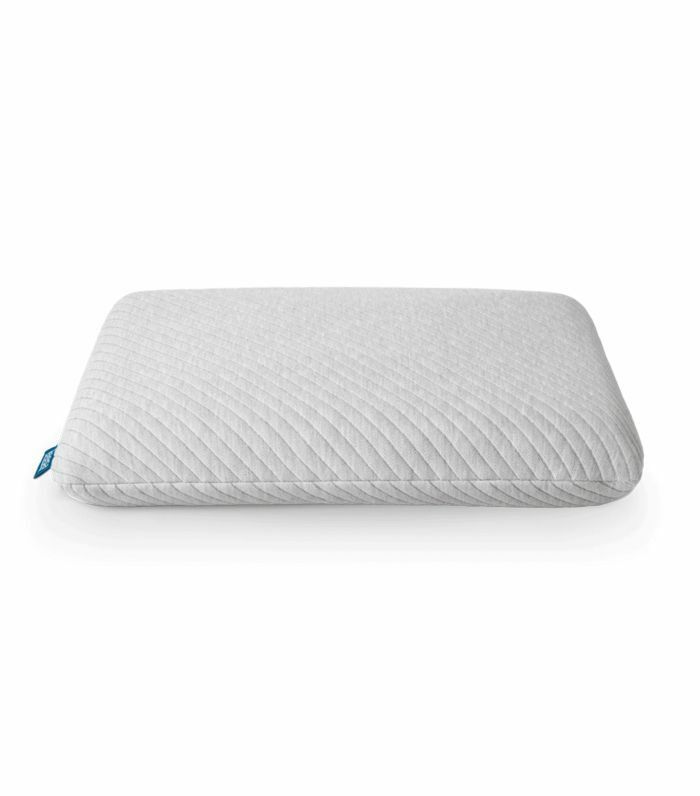 "I can't sleep without this firm and supportive pillow—it completely got rid of my back pain after a few days of use. The fill is made from shredded memory foam, so it's responsive but not stiff." 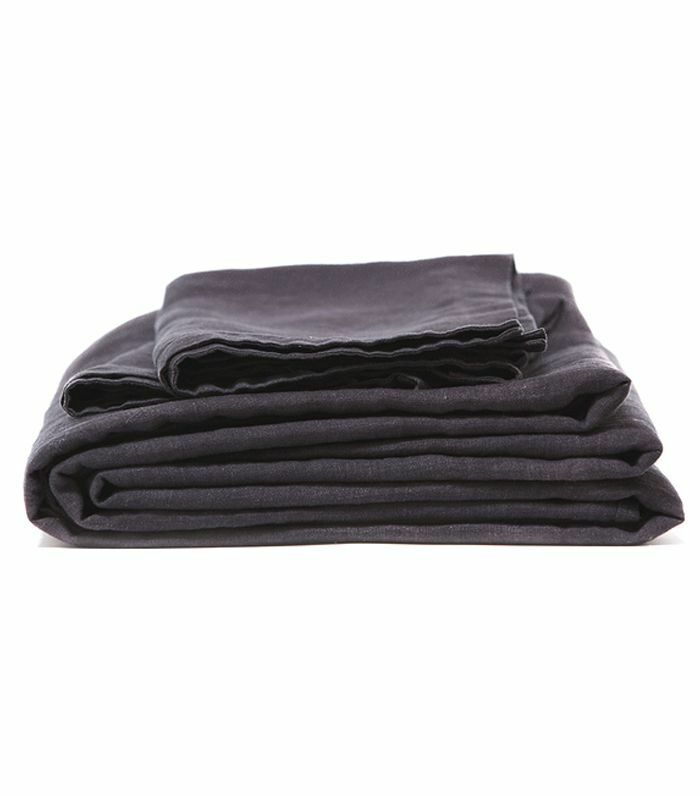 "Parachute's linen sheets are hands down the softest, most comfortable set I've come across. I love 'fog,' a pale gray that pairs well with white and blue so I can mix and match with my other sets." 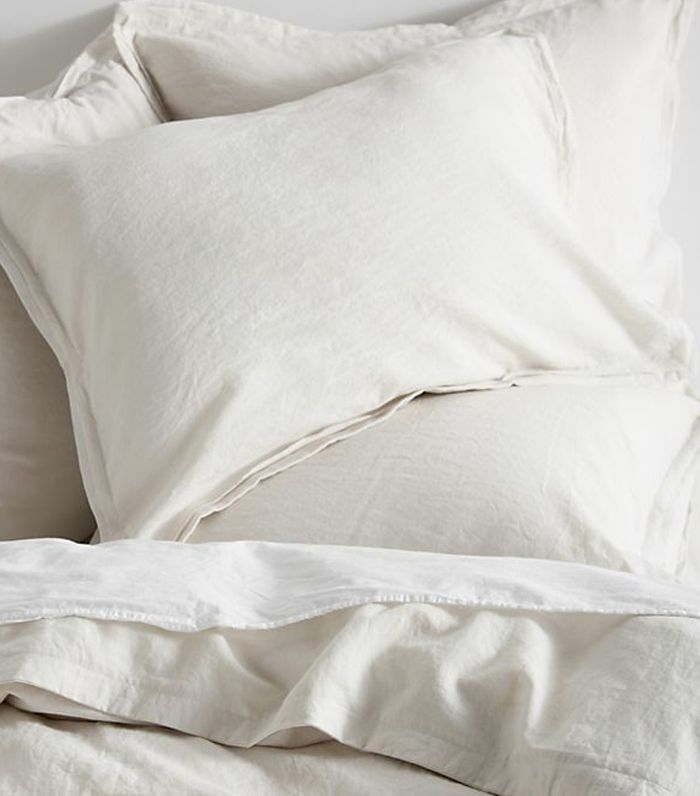 "Nothing feels more luxurious than laying your head on a silk pillowcase every night. Slip pillowcases are anti-aging, anti-sleep crease, and anti-bedhead and, honestly, just make me feel fancy." "The 'rest' mist contains a lavender essential oil, which has been . 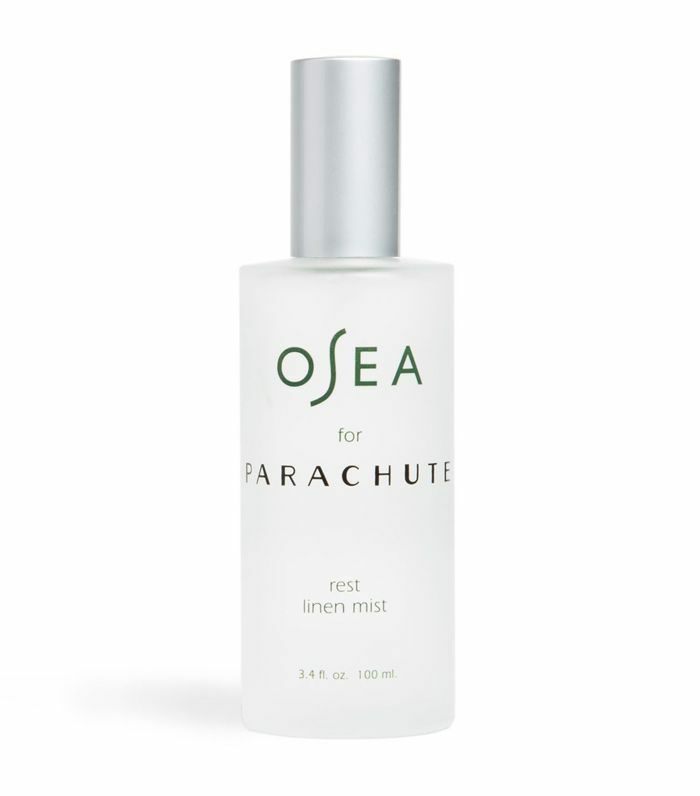 I spritz this all over my bedding when I'm looking for a particularly restful night's sleep." "I sleep on my back, and this foam pillow is perfect—the foam molds to my head and neck, and it doesn't get too hot." 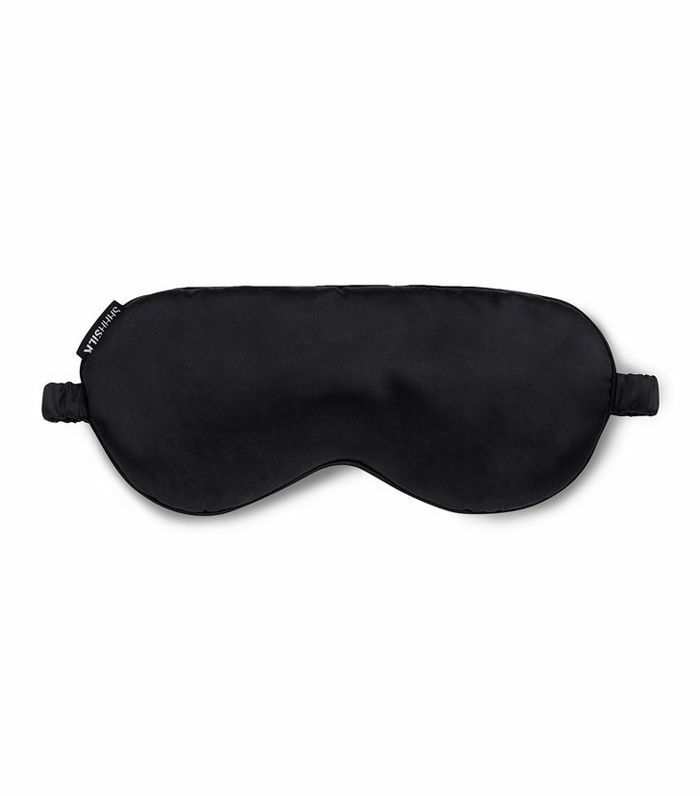 "I swear by this mask and legitimately can't sleep without it. I have one for travel and one for home—that's how much I love it. I've struggled with a bit of insomnia since high school, and this mask has helped me more than sleep meds (I swear it's that good). 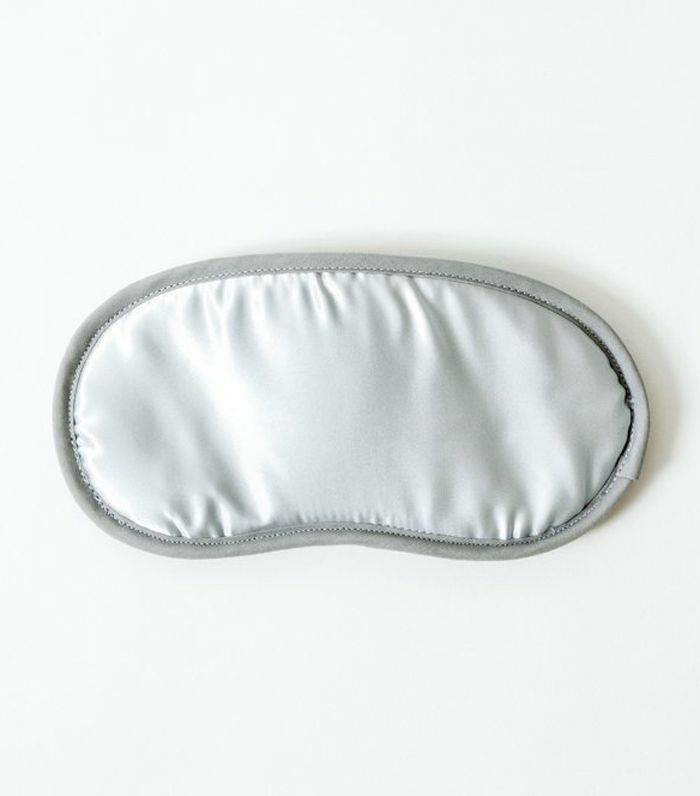 There's charcoal powder infused into the cotton to help ease tension and pressure around the eyes, resulting in a better night's sleep (i.e., less puffiness and bags under the eyes the next morning)." "I'm a pillow hoarder. I need one under my head, two on top of my head, one between my legs, and one to hug. This is one of my favorites." "For some reason, the second it's time for bed, every material and fabric becomes unbearably itchy. 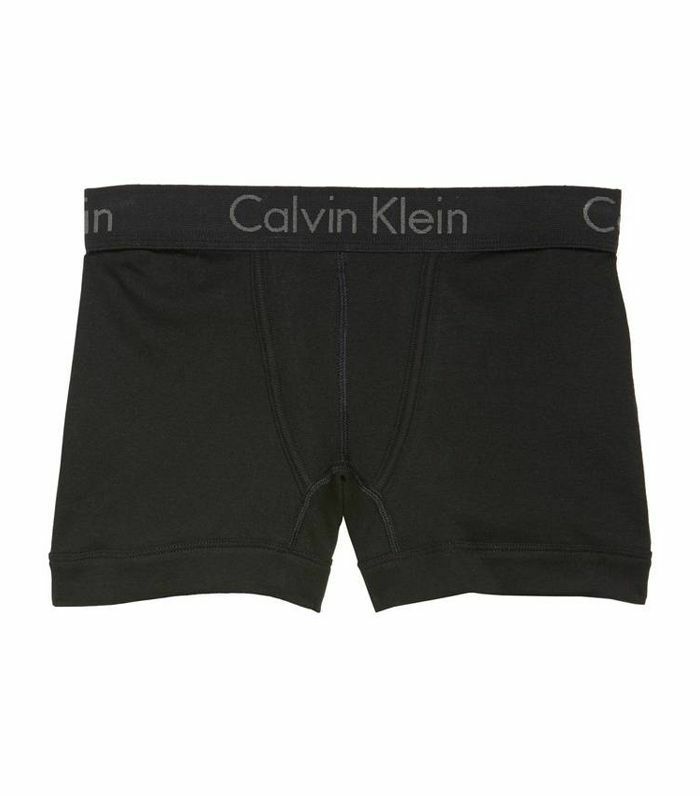 So I usually just lounge around in my pj's and then pare it down to boy shorts once I'm ready to fall asleep." 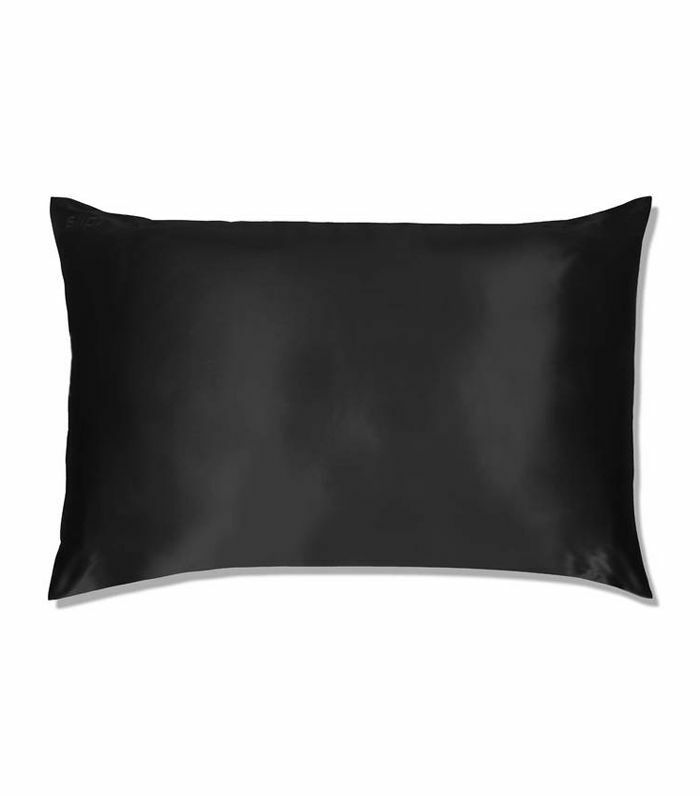 "Everyone who knows me knows I love black, so of course my bedding is also in the inky hue. I like my entire room to be blacked out, no light, so I can sleep safe and sound all night long without distractions. It's my black hole of bliss." "I have the black, gray, and their Beverly Hills Hotel collaboration mask too. The reason I love this one over all the others out there is the width. It covers a much larger surface area on my face and fits snug under my eyes so no light can ever get in. It also has a silk-covered elastic band around my head, so it doesn't slip and feels secure while also being kind to your hair. Very important." 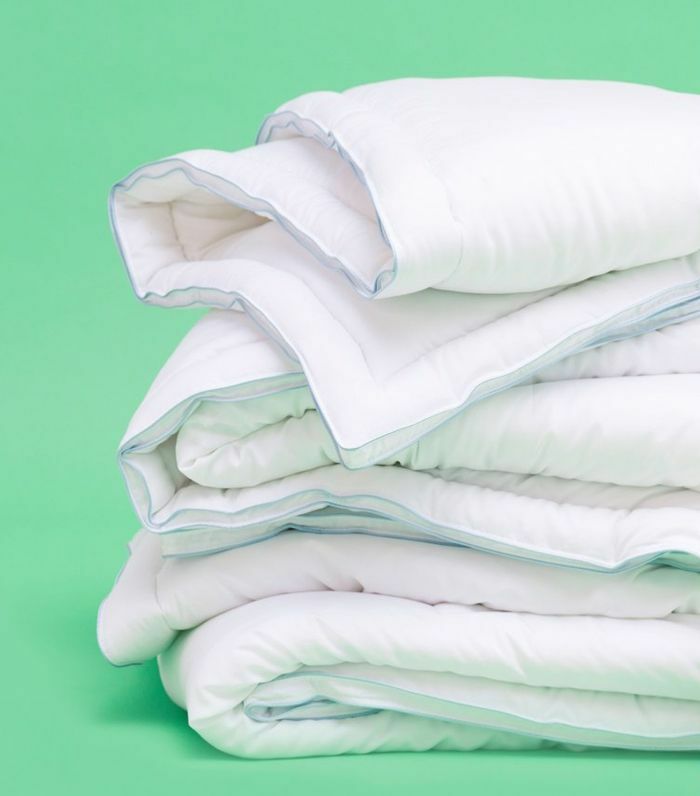 "I recently bought these Parachute pillowcases, and I have a feeling they're going to be a gateway product to the rest of the brand's line of bedding. I'm obsessed." "I'm a big fan of P.F. 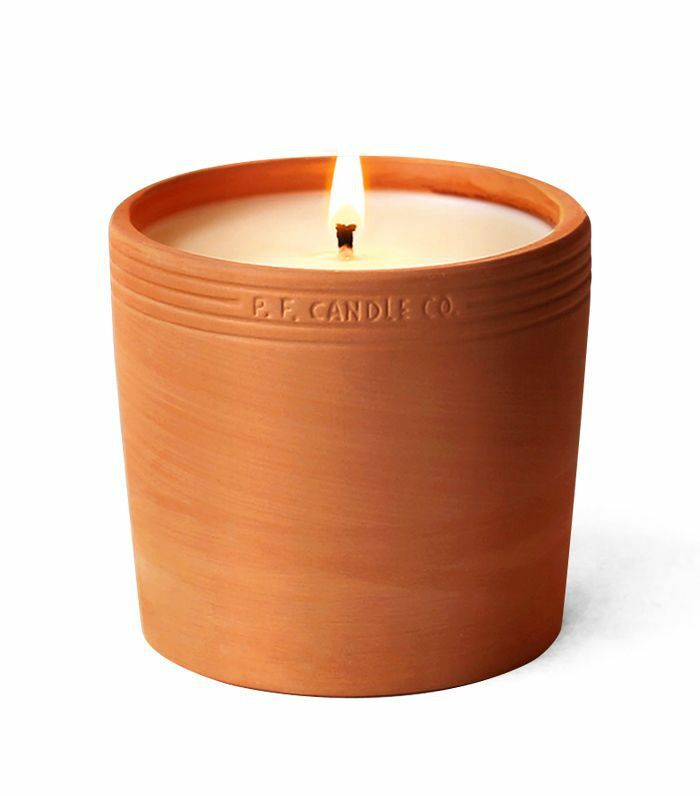 Candle Co. (a local L.A. brand), and I love its new Terra collection. This lavender candle is 'comforting, soothing, and promotes restful sleep,' according to the product description, and has earned a place on my nightstand." "The one thing I never skimp on is bedding, and I take my sheets very seriously. High-quality sheets are absolutely worth the investment. There's nothing quite as satisfying as slipping into bed after a long day and being wrapped up in soft, luxe ones." "I love my Anthropologie duvet cover. While the brand's bohemian style can often make a loud statement, their basic duvet covers are made from high-quality materials and can fit into any décor style." 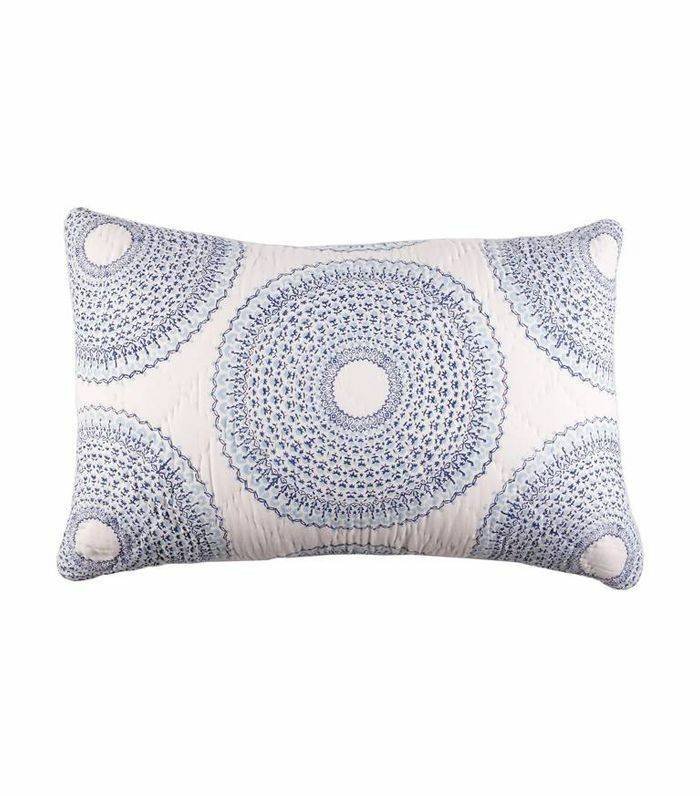 Give these slumber-inducing products a try and enjoy a deep uninterrupted snooze.